Year 1 had a fantastic time at the Christchurch multi-skills event. They all persevered through the heat and put 100% of their efforts into each activity- Sunny smiles all round! This week group 4 had great fun painting story Stones for the story the Gruffalo. We didn’t have enough characters for all the children, so they came up with the idea to work in pairs. We then had the problem of which partner would take the stone home. 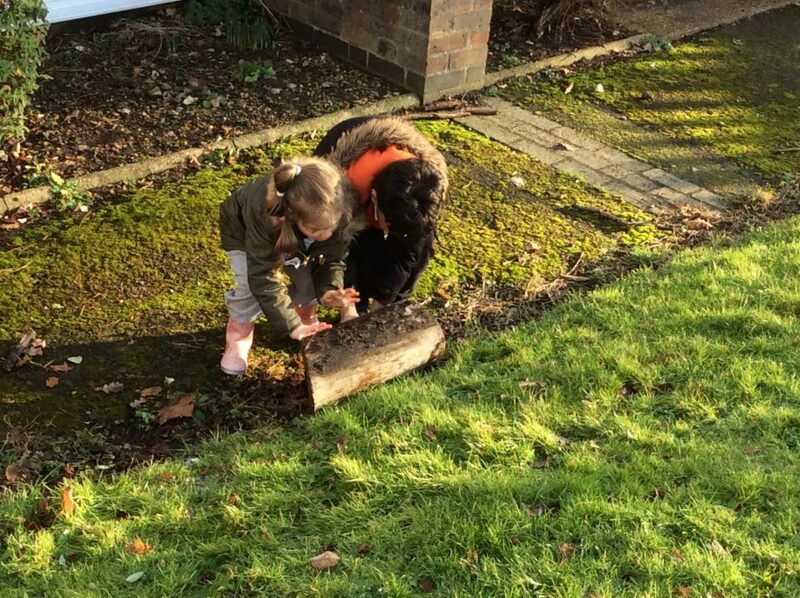 After great discussion they decided to leave the Stones at school in an area where their parents could see their beautiful learning. Great problem solving! 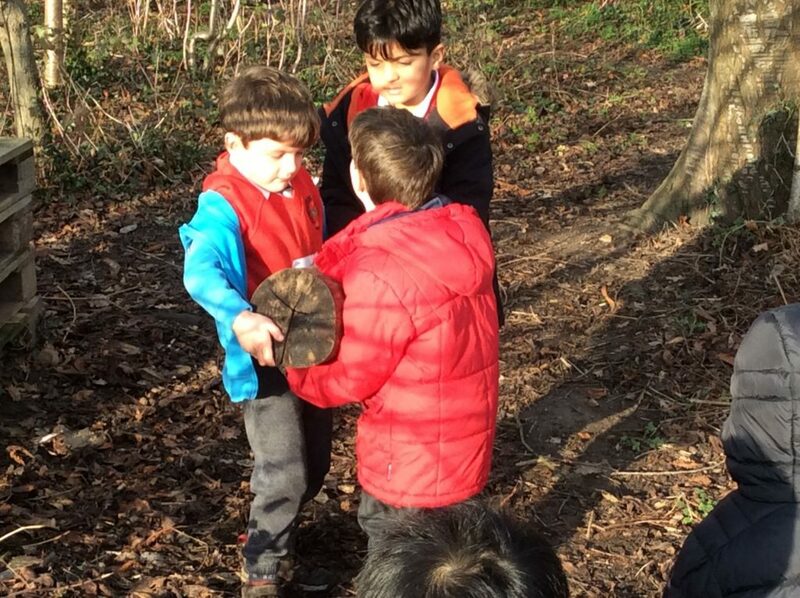 During Maple Cross Explorers Group 3 and Group 5 have had the chance to make story stones. Group 3 used the story The Gruffalo and used their problem solving skills to share out the task. They spoke about having two of the same character when 2 children wanted to paint the same one, and also spoke about what they could do when theyran out of characters. Group 5 spotted a second book in Miss Crowley’s bag and decided to take a vote on which book they would like to use- They voted for Monkey Puzzle. Group 5 then also used their problem solving skills to come up with the solution of halving the image of the butterfly when 2 children wanted to use that character. Both groups enjoyed using their own creations to re-tell their stories. Today in literacy, Year 1 used their knowledge of ‘bossy’ (imperative) verbs and time conjunctions to write instructions collaboratively. They instructed Miss Crowley step-by-step to make a yummy jam sandwich! Once they had their instructions, they then went off in partners to follow them and create their own jam sandwich to share- delicious! Last week Mrs Wallace’s group explored emotion through art. 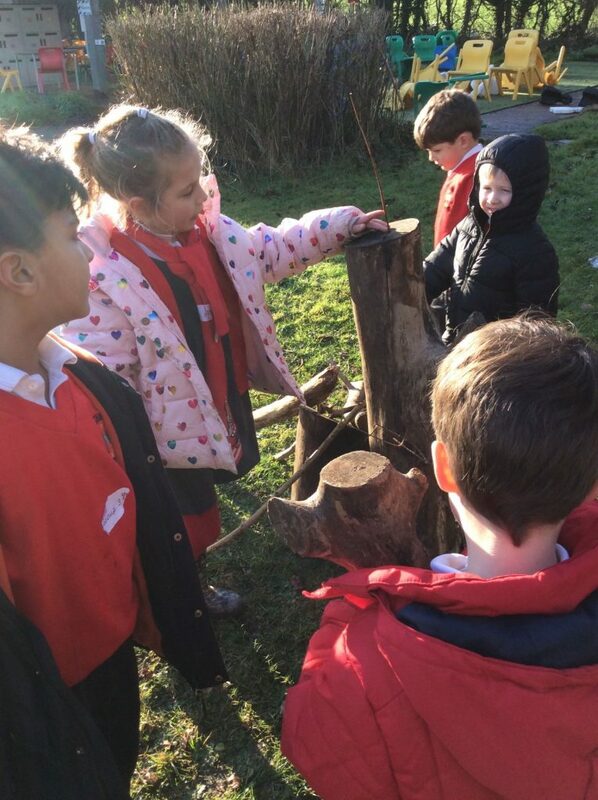 They looked at and discussed Andy Goldsworthy pictures and decided which emotion they would like to create. What emotions can you see? 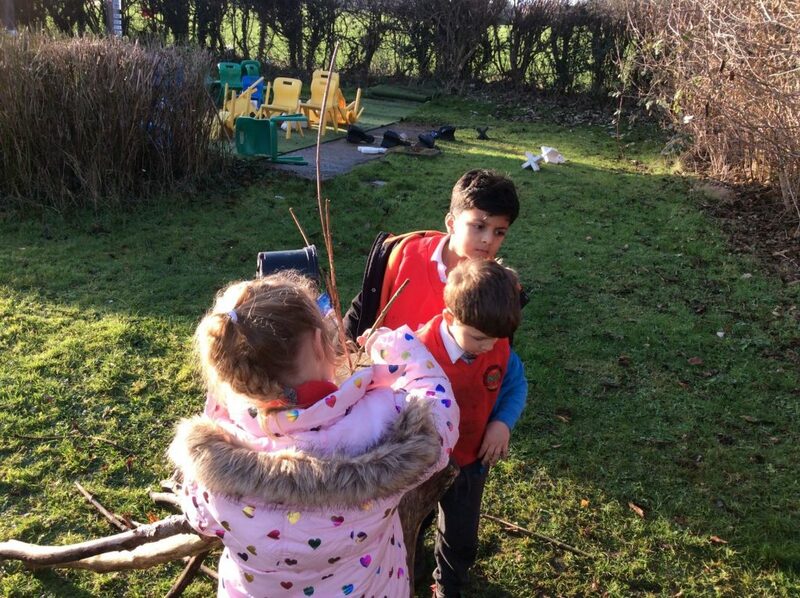 Last week group 3 worked collaboratively to build the tallest tower. They looked at examples and discussed and evaluated their effectiveness. 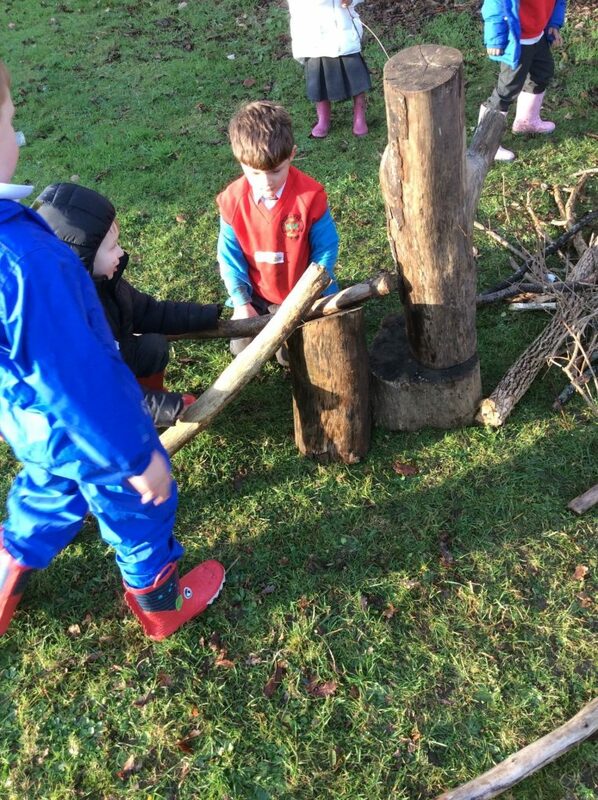 They then decided on the natural materials they would like to build with- wood was the overall winner. 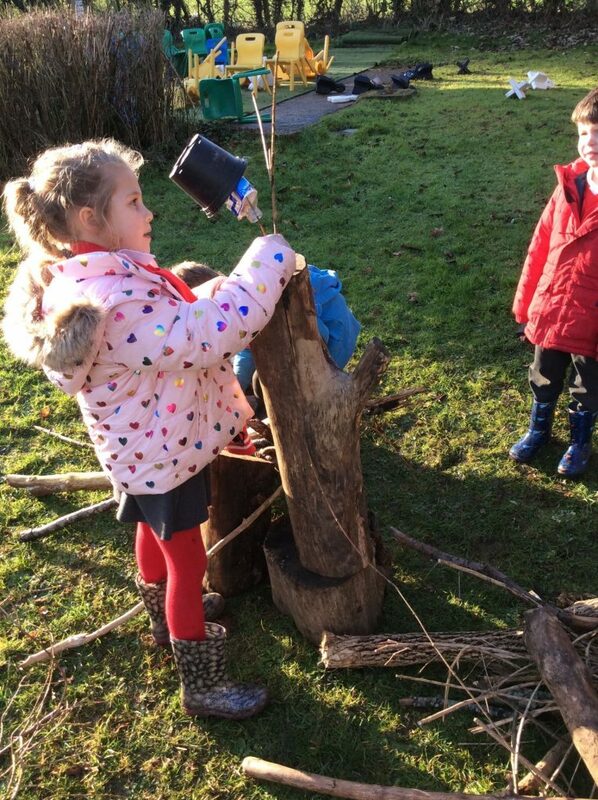 They then gathered logs and resources and used their communication skills to assemble a tower. A great effort! Let’s see if this weeks group can build a taller tower! Today group 1 had great discusssions based around shape and colour. While collecting their necklace materials they noticed light and dark shades, circles, triangles and repeated patterns. Another exciting Maple Cross explorers! 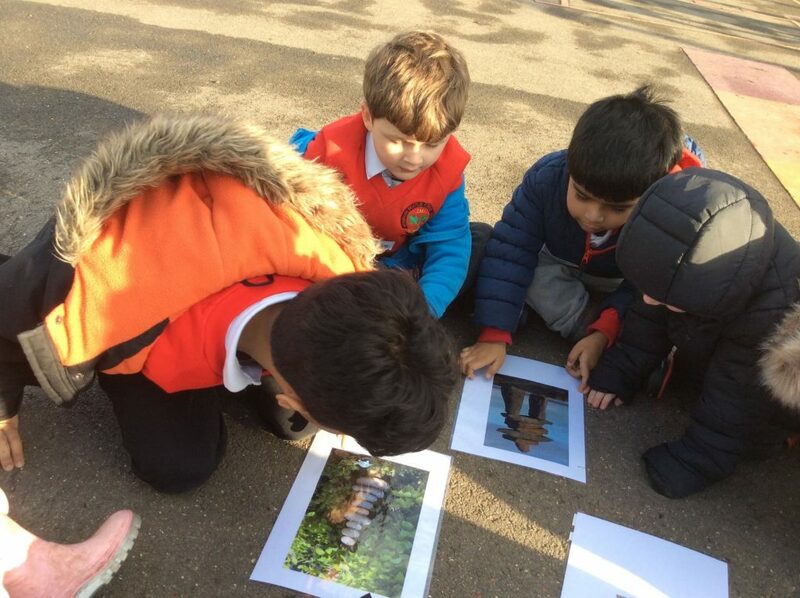 Year 1 have been exploring The UK within their topic lessons this week. They used their observational and map reading skills to piece together the 4 countries that make up The United Kingdom. Can you name the 4 countries? Group 2 showed great collaboration skills during their natural necklace making activity today. 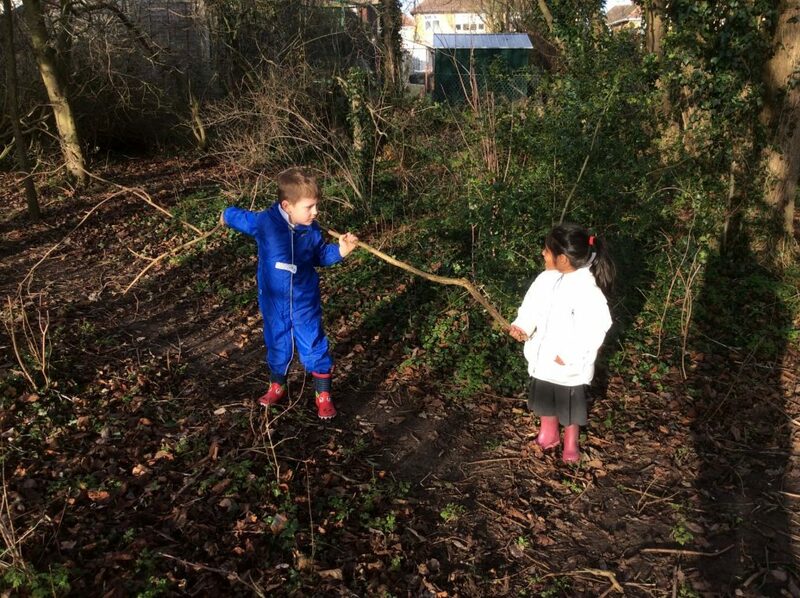 The older children were particularly kind to the younger children, helping them to find and thread their resources. Another great week!